RT @monys_good2: @ILXCITEMENT @Catchin24 She runs a great camp, you should send the team. 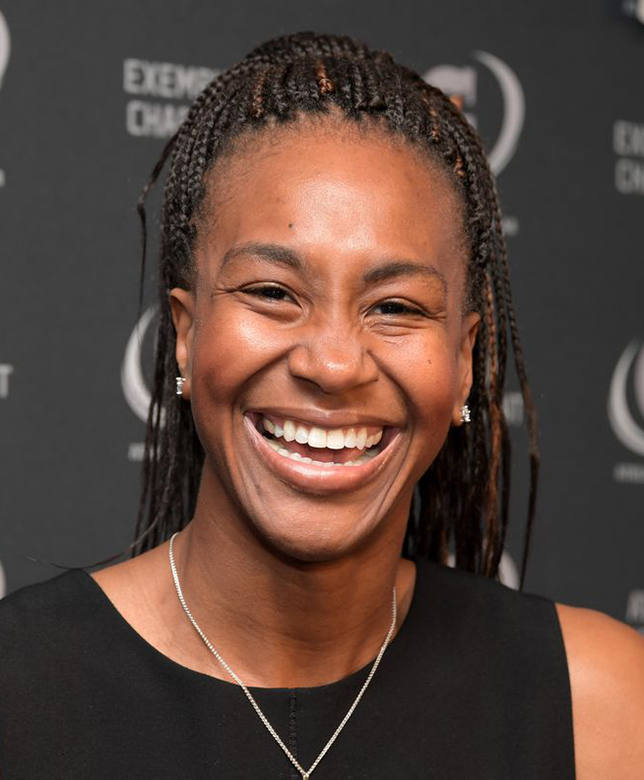 Widely considered as one of the top 15 WNBA players of all time, Tamika Catchings is a four-time Olympic gold medallist and world-renowned motivational speaker. She shares her inspiring story of overcoming hearing loss, separation from family, high expectations and the pain of debilitating physical injuries. Catchings began her playing career in 1997 when she starred for the University of Tennessee Volunteers, where she won back-to-back national championships in 1997 and 1998, along with multiple individual honours. She rose to national fame in 2002 when she was named the rookie of the year along with a spot on the WNBA All-Star team. Catchings would go on to make the all-star team nine more times, most recently in 2014. She has been featured at events for organizations such as Verizon, NASA, USA Synchronized Swimming, Gatorade, Nike, Fellowship of Christian Athletes, Pilot, CVS Pharmacy, University of Tennessee & University of North Texas and the Indiana Black Chamber of Commerce, to name a few.